This is one of my least favorite kinds of posts to write, because it’s so hard to write about beloved films from master filmmakers that I liked but didn’t strongly connect to. It’s one thing if I DISLIKE a film like this, because at least that’s something to hang a reaction on. I will say that I watched the theatrical cut because while 3 hours is doable, 5 1/2 wasn’t really, but I would like to return and watch the television cut later on. 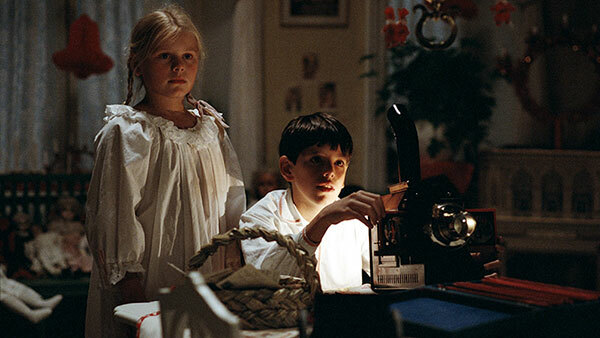 The first half of Fanny and Alexander places the titular siblings in a large, warm, and loving theatrical family. It’s difficult at first to tell exactly how everyone’s related to each other, but it doesn’t matter too much, because everyone loves and cares for each other – even when the children’s father has a fling with the maid, it doesn’t seem too troublesome or out of the ordinary. 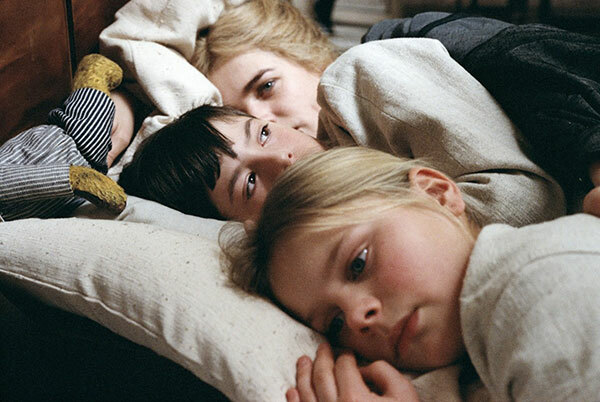 This half is not dissimilar to Bergman’s Smiles of a Summer Night, though the addition of color and kids makes it even more light and whimsical. 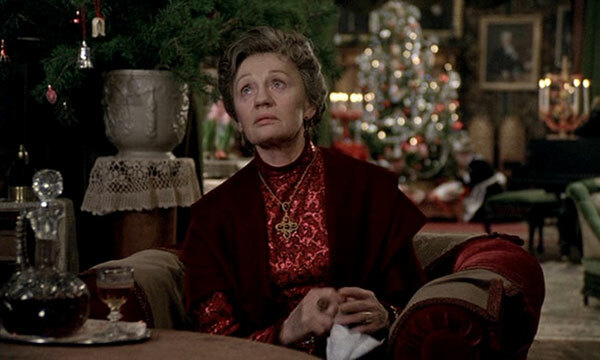 Then their father dies suddenly, their mother decides to marry an austere pastor and suddenly we’ve switched from Smiles of a Summer Night to Dreyer’s Day of Wrath. 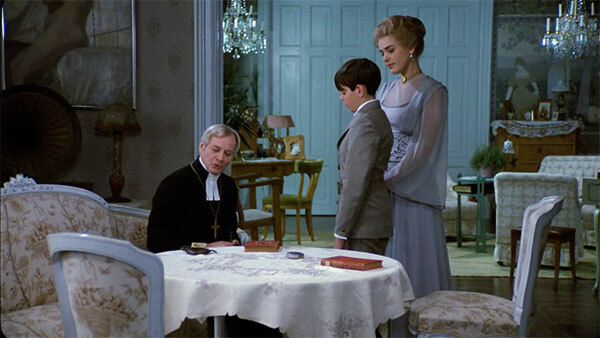 Pastor Edvard is pious to a FAULT – his bare house, unsmiling family, and severe methods of discipline are a stark contrast to the flamboyant and gracious world Fanny and Alexander knew before. Actually, let’s be honest. This movie is about Alexander. Fanny is in it, but at least in the theatrical cut, she barely figures at all. The television cut might give her more to do. It’s an interesting film in Bergman’s filmography, coming much later in his life. He’s best known for being rather, well, austere himself in terms of filmmaking. He often deals with religion and a crisis or loss of faith – most notably in his faith trilogy, but also in The Seventh Seal, The Virgin Spring, and others. 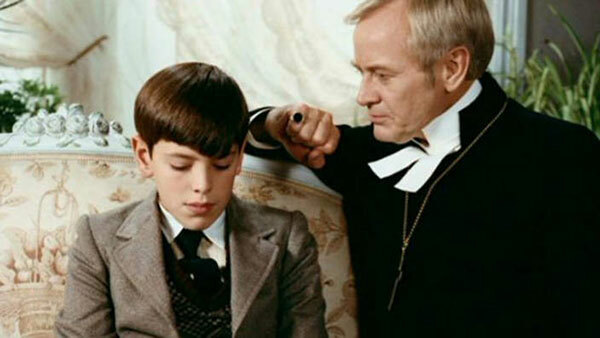 Even in his non-faith-related movies like Persona, his films tend to be quite severe – the Edvard section of the film felt very Bermgan-esque. But it’s clear that he’s siding with the theatrical folk, loves their flamboyance and their warmth. Alexander feels like a surrogate in many ways (the film may be autobiographical, I didn’t look it up). 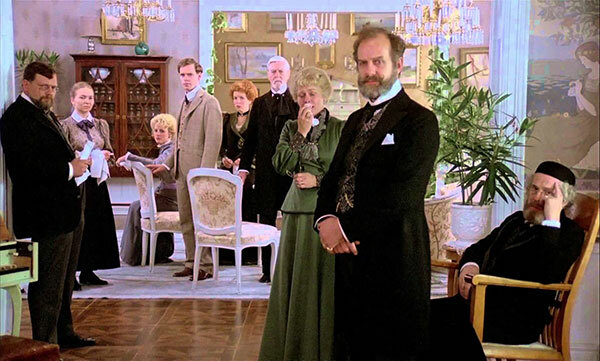 It’s not anomalous, as Smiles of a Summer Night is also very comedic, but even that doesn’t even come near the visual sumptuousness of Fanny and Alexander. So it’s easy to write stuff like that, because the parallels and distinctions from Bergman’s other work are easy to make. 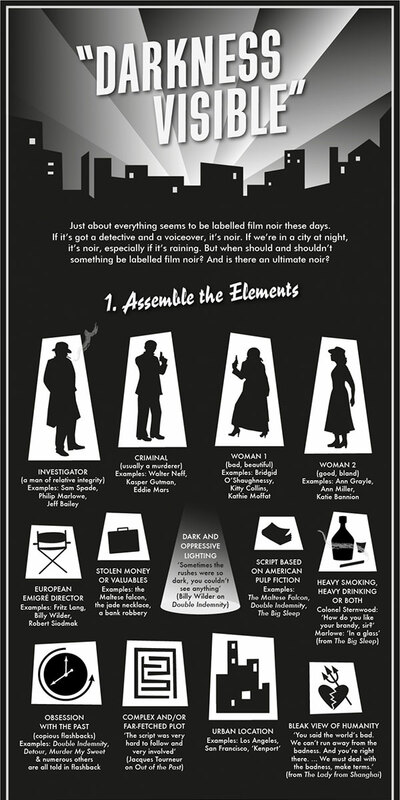 It’s definitely a good film and an interesting one, especially from Bergman. 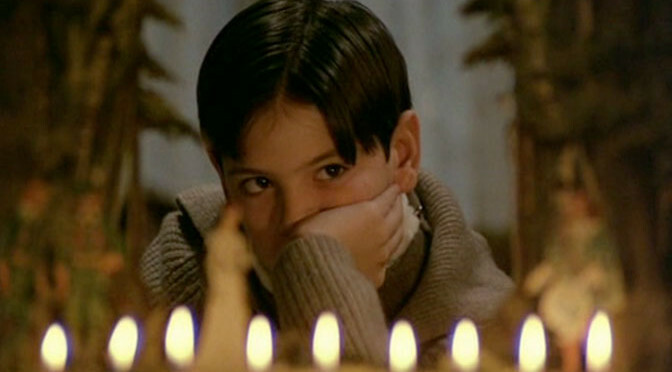 But it didn’t hit me on a personal level the way I’d hoped it would – the good news is that Bergman films often don’t, so I hope when I return to this (and the longer cut) in the future, it will grab me on a deeper level than it did this time. 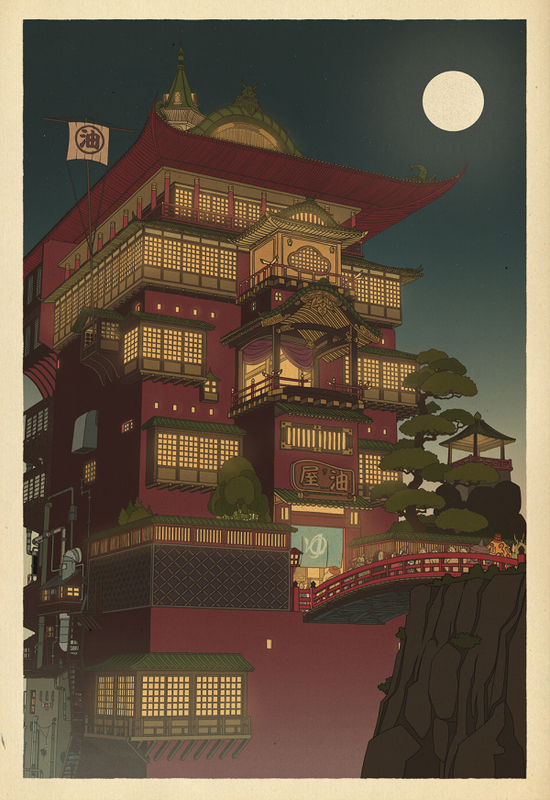 Still, I’m glad to get the initial viewing under my belt, as I’m sure it probably won’t be the last. 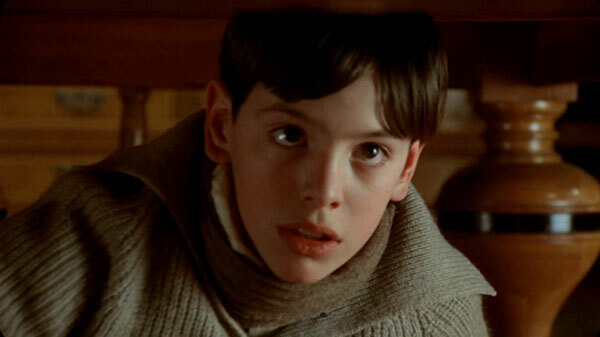 It is now my #4 Ingmar Bergman film, my #10 Childhood Drama, my #6 Reunion film, and my #6 film of 1982. 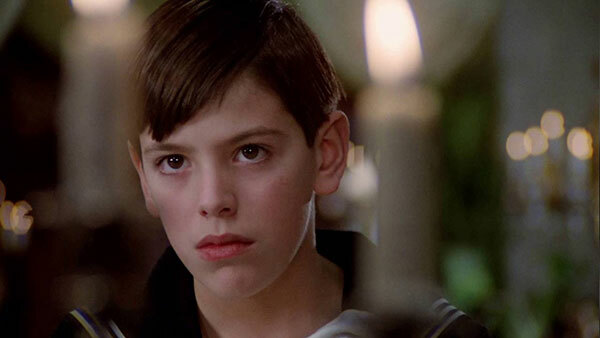 Fanny and Alexander was recommended by Mike Seaman, a friend from the Flickcharters group on Facebook. Averaging together this #916 ranking with my #958 ranking of his other film, I’ve Loved You So Long, gives Mike an average ranking of 936. Previous PostChallenge Week 38: I’ve Loved You So LongNext PostChallenge Week 39: Little Man, What Now?